Details: Takes about 4 hours. Everyone passed this around the room - gushing over it. hi diana. i'd love the pattern. 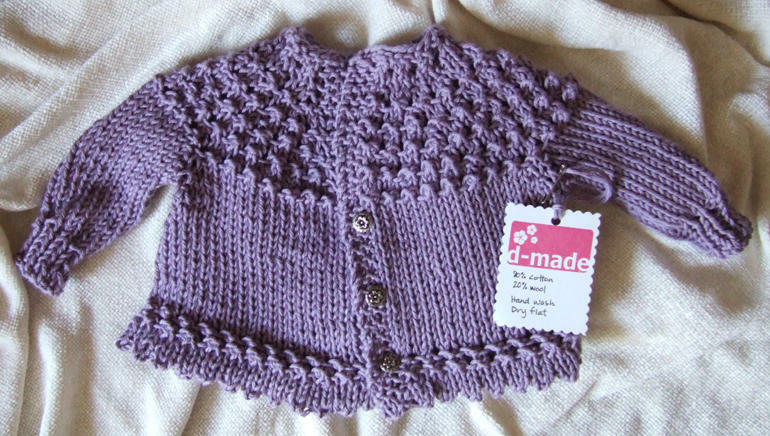 the baby sweater is gorgeous. I love that pattern! 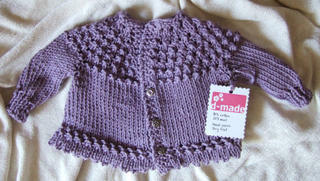 And I think I have one skein of Sierra, as well as the baby girl to knit it for. Where did you find your cute custom stamp? I've been meaning to get one for tags too. thanks!